Our parents had an ingenious way of sending messages across the Atlantic. I think they devised that method because many were not lettered, or what they had to say could not the fit the landscape of paper. Whatever the case was, they used our old friend, the post office. 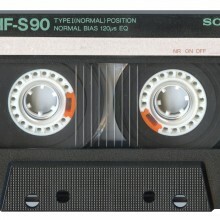 They would purchase a blank audio tape, something we commonly called ’empty cassette’. They would put them into recorders and say everything they wanted to say. January 21, 2015 in Memoir.